On January 20, 2019 Robert “Kelly” Young, age 66, passed peacefully through the veil, at his home in Vernal, UT, to be with his mother, and father. He was born 18 April 1952 to the late Robert Milton Young and the late Betty Jean Merz Young in Cortez, CO. He was one of 8 children. Kelly was married to Mindy Lee Stewart Young. He was survived by his 4 children (with their mothers listed): Joshua Kelly Young (Joni Austenfeld) of Lapoint, UT; Layla Beth Rush (Janis Elliott Stein) of Manassas Park, VA; (marriage to Trudi Larsen-Hurley), Nicholas K Labrum Young (Annette Morris) of Las Vegas, NV; and, Katrina Ray Young (Paula Young) of Payson, UT. He was survived by his 7 brothers and sisters: Anne Elizabeth Iverson of Layton, UT; Catherine Clara Atherton of Lapoint, UT; Karen Sue Pendrake of Draper, UT; Wayne Arthur Young of Orem, UT; Sherri Nadine Donohoo of Payson, UT; Joseph Matthew Young of Sandy, UT; and Shelley Marie Wooley of Taylorsville, UT. He is also survived by 6 grandchildren. Kelly went to high school in Emporia, KS, and graduated from Wasatch High in Heber, UT. 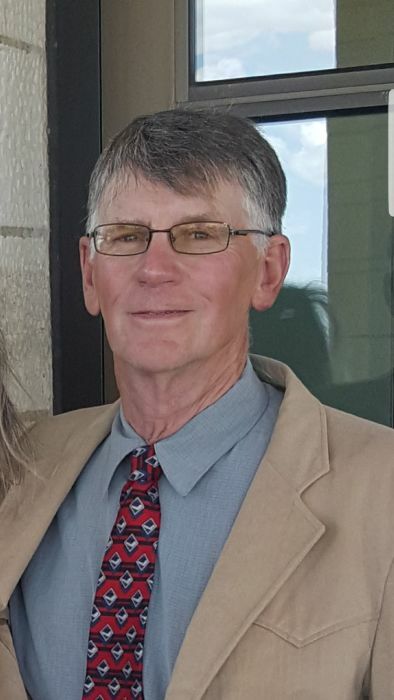 He became certified and worked as a welder, and worked at the largest metal tank factory in Kansas, he trained horses and loved working at the ranch, then as the hardest worker anyone knew and as the back bone of Frontier Lumber where he employed a lot of us over the years and gave help and opportunity to many in need. He dedicated himself to reading the scriptures, attending the temple, especially doing sealings, watching “Music and the Spoken Word” and serving as a Sunday school teacher with the youth, scouting, ward missionary, stake leader for the singles group and ministering. Kelly enjoyed extreme dirt bike riding, snow and water skiing, hiking, mountain man rendezvous, outdoor Dutch oven and fire pit barbecues with lots of friends and family, listening to his records, helping someone in need, donations, and getting to know personally everyone he met. He was always filled with gratitude, always being thankful for so many good things in his life, for the beautiful Earth, for an amazing family and for those around him. The viewing will be held on Friday, 25 January 2019 from 6:00 to 8:00 pm at the Blackburn & Sons Vernal Mortuary, 15 E 100 N Vernal, UT 84078 and on Saturday, 26 January 2019 , at the Glines 1st Ward Chapel (1500 West Hwy 40) , from 9:00 to 10:45 am. Funeral services pending for Robert Kelly Young, 66 of Vernal will be held Saturday January 26th at the Glines 1st Ward Chapel (1500 West Hwy 40) at 11 A.M. With Viewings 9:45-10:45 prior to service and one Friday January 25th from 6-8 P.M at the Mortuary. Burial will be at the Lapoint Cemetery. Services entrusted by Blackburn and Sons Vernal Mortuary.